About Evolve Creative Solutions inc. 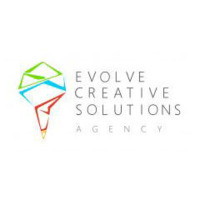 Evolve Creative Solutions is a boutique creative agency offering multiple business solutions and services. We work with our clients to provide insight and guidance while establishing your presence or your product. Our head office is located in the city of Vancouver, Canada while our development offices are in Baja California, Mexico. “It is now the age of experience, while technology advances the way you reach your audience may change too.” Our goals as a company is to accommodate all of our clients needs in-house. Evolve will provide critical business process management solutions or establish a presence for your brand throughout any marketing medium allowing you to maximize exposure and reach diverse customer segments. We are experts in Modx web development, software and applications. As well our vast creative team can handle any graphic design task from a simple business card or logo to customized corporate collateral that will enforce your brands image.